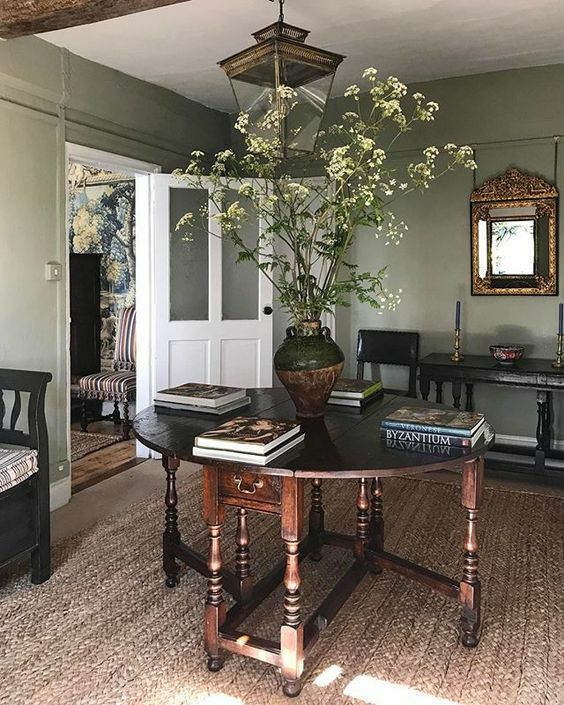 I love to read and central to my own home, and something that I try to include in a decorating scheme, are cosy nooks to curl up with a book and shady parts of the garden to lose yourself in. 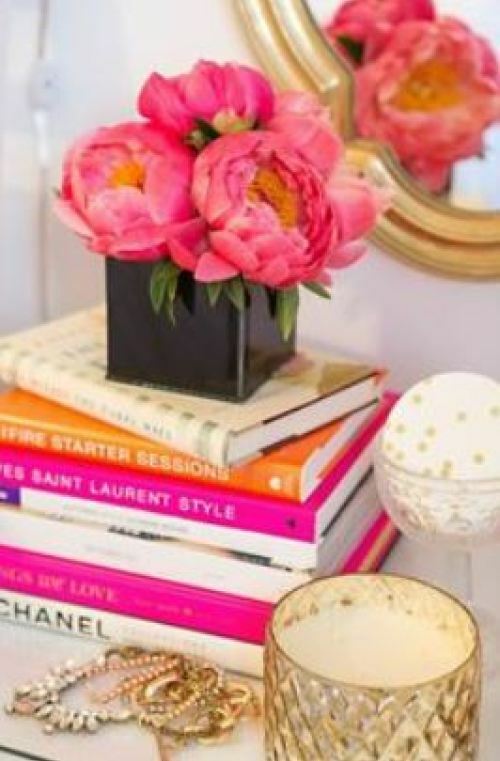 The benefit of enjoying books of course is that unlike many other pastimes and hobbies, they also lend themselves to being a fabulous decorating accessory. You really can accessorise with books. One of the most appealing decorating images for me is a wall of crisp white shelves lined with books that hold so much promise for entertainment while at the same time delivering a fabulous injection of colour into a space. This create the wow factor for me. 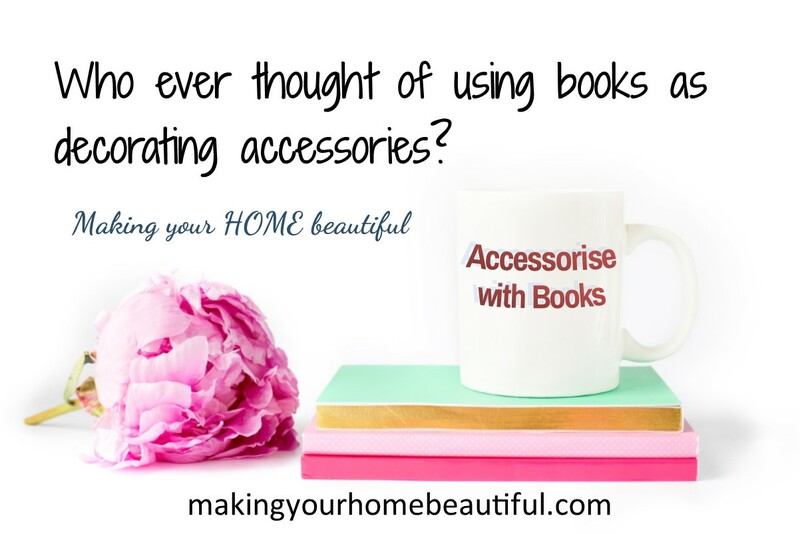 The perfect way to accessorise with books. 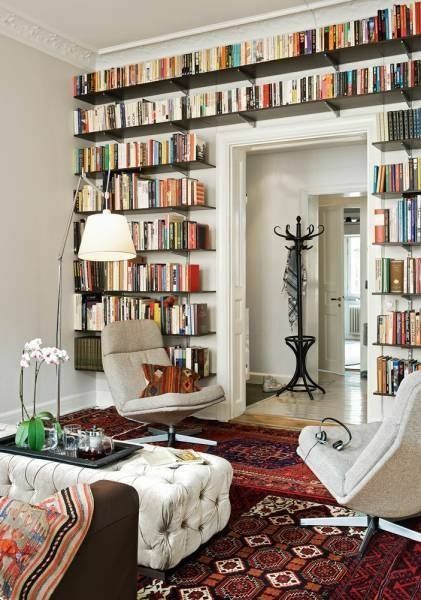 An entire wall taken up with bookcases is very indulgent and makes a grand gesture in a space. Collections of anything are a talking point and I have found in my own home that my book collection is a source of much enjoyment for my friends as they linger and browse and inevitably leave with a borrowed book and a promise of enjoyment. Most people though don’t have room to dedicate an entire wall or space to the storage of books but even a bookcase in a hallway niche or shelving in a kitchen offers the opportunity to add a splash of colour. 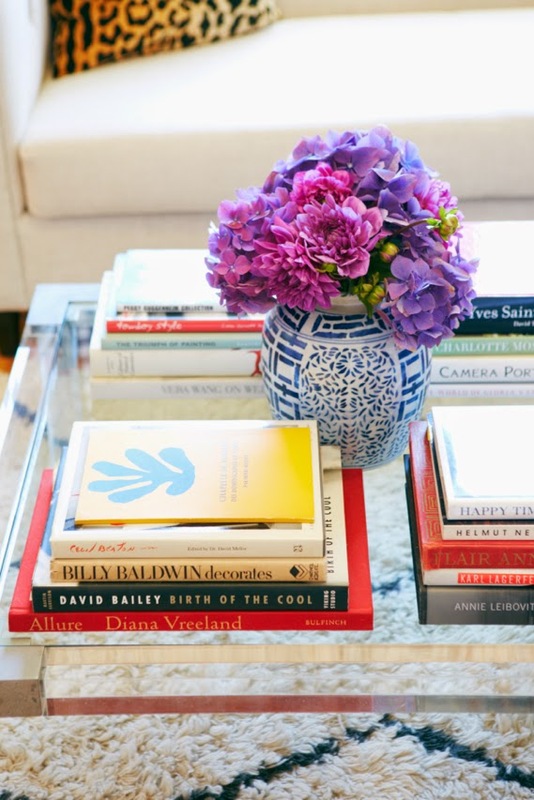 Coffee tables or round hallway tables look great if you accessorise with books. 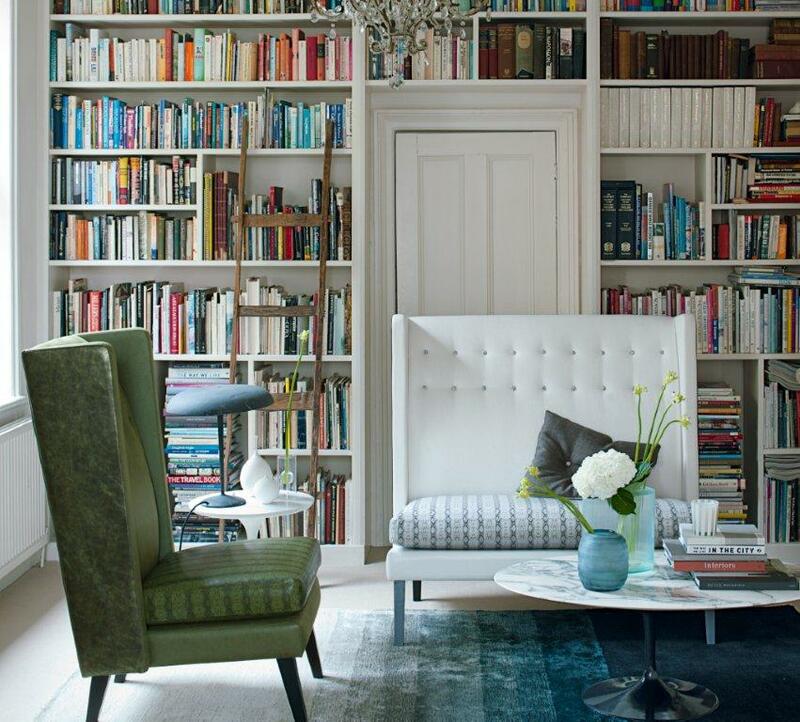 Neat piles of books are often the only injection of colour in a neutral space. 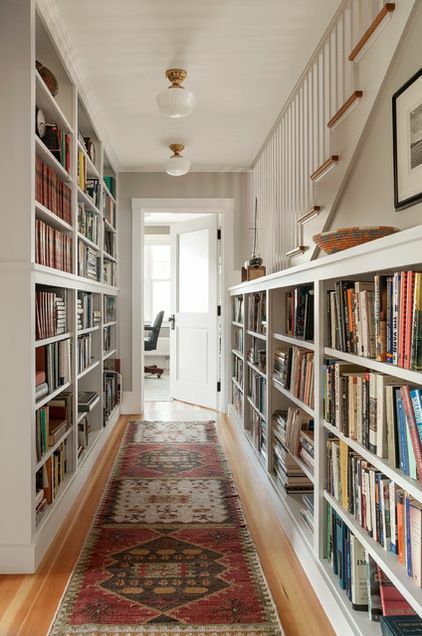 Or you can make a simple hallway, that is usually just a passage way, into a really interesting place to stop and browse. This is a great way to store your books and to inject personality, colour and style. 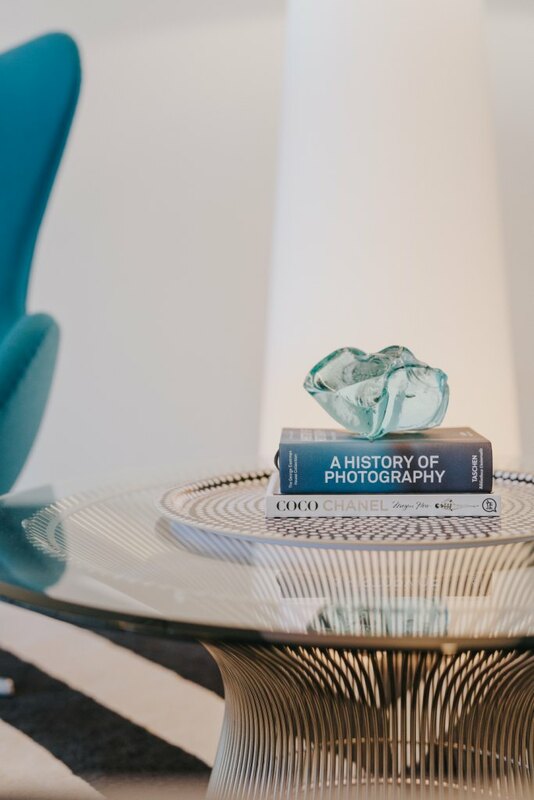 People who prefer monochromatic colour palettes will often use books to inject some colour into a space rather than use soft furnishings or ornaments to accessorise the scheme. Traditionally libraries in houses were painted in library room red which is a cool, dark almost Mulberry hue. 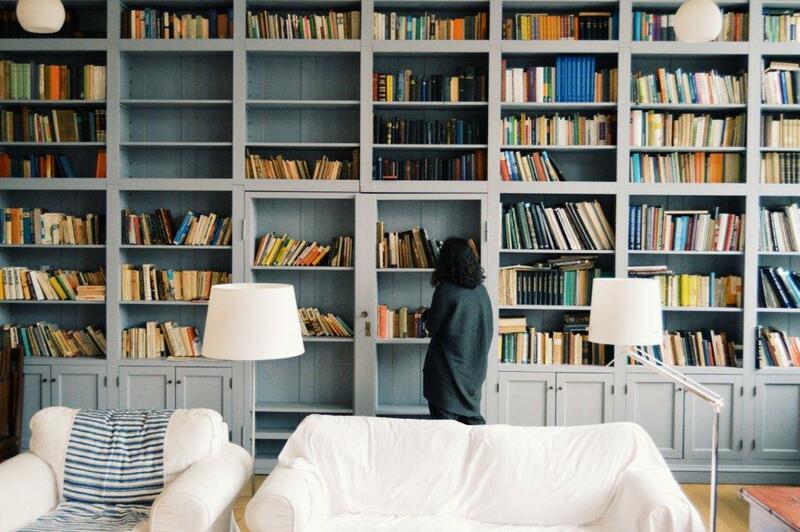 A fresher approach to decorating a library is usually taken now with walls and trim painted in a clean white that is a nice contrast to the colourful books. Joinery in a matt black finish also works well and is just as effective as white bookshelves. Dark colours recede leaving the colour in the books to take centre stage. Don’t think that you have to just use black or white for your bookshelves, dark navy or a pale grey makes a really nice statement too so consider your overall colour scheme. 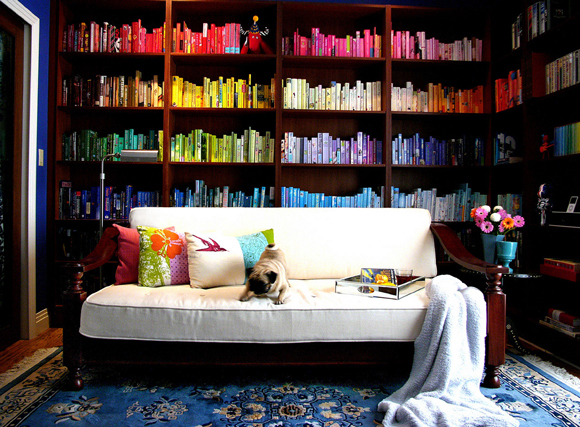 You might like to consider the trim colour throughout your house when determining which colour to use on your bookshelves. 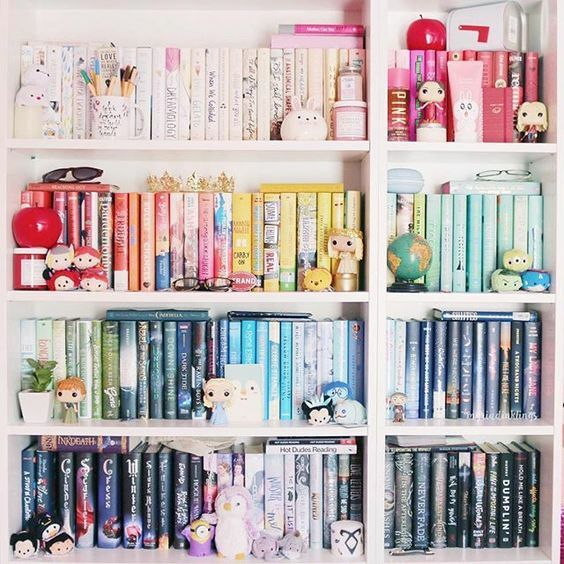 To colour code your books or not? I suspect that this all comes down to your own personality. There is no doubt that a colour coded bookcase is very striking and makes a really strong decorating and colour statement in a room. Where some will love this look, others may think it appears contrived. It is popular with preparing your home for sale though and no doubt psychology is involved here. If you can colour code your books, you are clearly a very meticulous character who has hopefully looked after their home to a high standard. Full on jumbled up colour is on trend however and therefore there is nothing wrong with displaying books without colour coding them. There is no real hard and fast rule – it really depends on your preference. Personally, I like to group my books into collections by theme. I have an entire bookcase dedicated to recipe books – a collection of over 150 much loved and thumbed books. My interiors books, gardening and wine books are all in groups. My novels are all together too – not colour coded, nor am I sad to say in any kind of order, but I do know where to find them all! My books are there to enjoy and to inject colour, style and interest to my home. 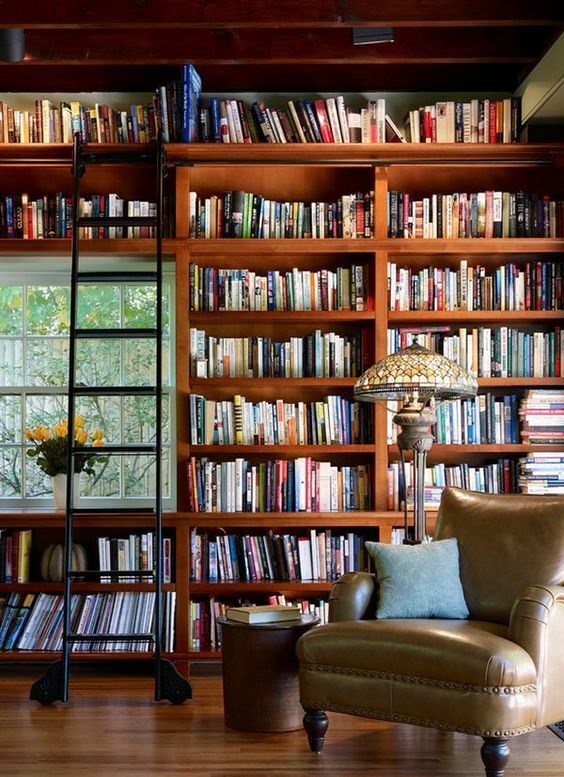 However you decide to display your books, ensure that the area comes with a cosy armchair, foot stall and side table for a coffee or glass of wine to accompany an afternoon of pleasurable reading. I have an entire Pinterest board dedicated to this subject with heaps of inspiration and I would love to hear from you in the comments section below. I also have a board dedicated to places to sit – gorgeous window seats, occasional chairs and pretty outdoor settings – the perfect places to read.